Gardening is one of the best ways to stay busy and live well. You can do it no matter where you live in just about any part of the world, but to get started, a basic set of tools will be necessary. With the right gear, you can turn your residence, urban or otherwise, into a botanical paradise. It’s all just a matter of knowing what to get. That in mind, read on for a list of a few tools that any gardener should own. Ah, the shovel—a basic but highly versatile gardening tool useful for a wide range of projects. 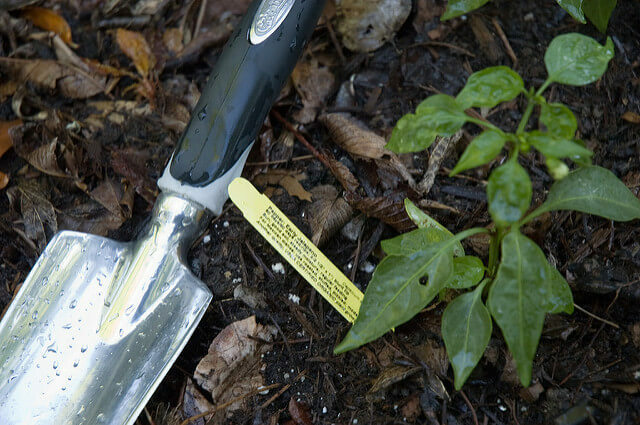 You might use your shovel to dig a flower bed, plant a bush, or anything in between. You can find a rudimentary no-frills version of this tool for $10 if you are buying on a budget. More money might buy you comfort and durability oriented features. You might find shovels with wooden, steel, or fiberglass shafts. The hand trowel is ostensibly a miniature shovel. You use these tools mostly when working with potted plants. They are critical for planting, or for breaking up tight clumps of soil to make sure that it breathes and drains well. Hand trowels are very simple and generally only cost a few dollars, making them an easy tool for any gardener to add to their collection. A few days into your journey as a gardener and it will quickly become apparent why you need a decent set of gloves. It can get messy out there, and if you want to avoid thorns, skin to plant contact with weeds, and dirt under the fingernails (although good luck with that one) a good pair of gloves is necessary. A decent, durable pair won’t set you back much, though bear in mind this might be a piece of equipment that requires regular replacement. A simple but necessary component of any garden. You can’t even grow a basil plant on your screened in porch without a decent watering can. There is a distinct charm to the classic old metal options from days gone by, but you can also pick up a sturdy plastic option for a few dollars. You can even get cans in several different sizes to make it easier to measure out how much water you want to give the different types of plants in your garden. Pruners are small, handheld snipping tools that you can use to maintain the health of a variety of different plants. If you have a rose bush, pruners will be particularly necessary. Sharp, workable, and extremely precise, pruners are perfect for keeping your plants neat and healthy. The garden rake is generally used to help get your soil ready before the planting season. The rake forks are much sturdier and less pliable than that of a traditional rake, making them good for digging up and moving soil around. Then there is the leaf rake. You probably know what this product is, and you also have a good idea of why you might need it. In addition to extracting leaves, this product is also good for general garden debris maintenance. If you need to remove grass trimmings, or other refuse, it will be handy to have one at your disposal. Ok, technically not every gardener will need a wheelbarrow. But every serious gardener probably will. This tool is great for larger scale planting projects. Wheelbarrows have a higher sticker price than most of the other options featured on our list today, but a decent product will last for many years, making the investment sensible in the long run. The purpose is pretty straightforward. You will use your wheelbarrow to transport and even mix soil, or move plants around your garden. A good hose and sprayer nozzle will, naturally, be an integral part of your watering strategy. The more settings your nozzle has, the better equipped you will be to take an individualized approach to each plant. If you don’t already have a hose, be sure to think carefully about length as you look to purchase one. You can usually find them as short as 25 ft, or as long as 75, but you can always find bigger or smaller if you look for it. Hoses are usually made of thick durable rubber that is well equipped to stand up against the wear and tear of the job. There you have it. Nine tools that will equip you for just about any gardening task. Of course, as you continue to grow and mature in this hobby, you will probably quickly find that there are even more tools that might be needed to get your garden looking the way you want it. However, the gear we have listed today should be enough to get you started without any trouble. The best part? Most of it is very affordable. If shopping on a budget, you should be able to get everything listed here today for $100 or less if you really try. So, what are you waiting for? Go out and fit your shed with all the tools necessary to turn your home into a botanical paradise. Author Bio:This article was written by Adam from HealthyHandyman.com. Adam usually spends most of his time writing about woodworking tools: drills, hammers and so on. However, sometimes he needs a break, which can be spending time caring for his beloved sunflowers and tulips. Welcome! I'm Dan and Urban Turnip is a blog about urban gardening and living well in the city. Learn more about us.